Comes with a 120 round magazine. 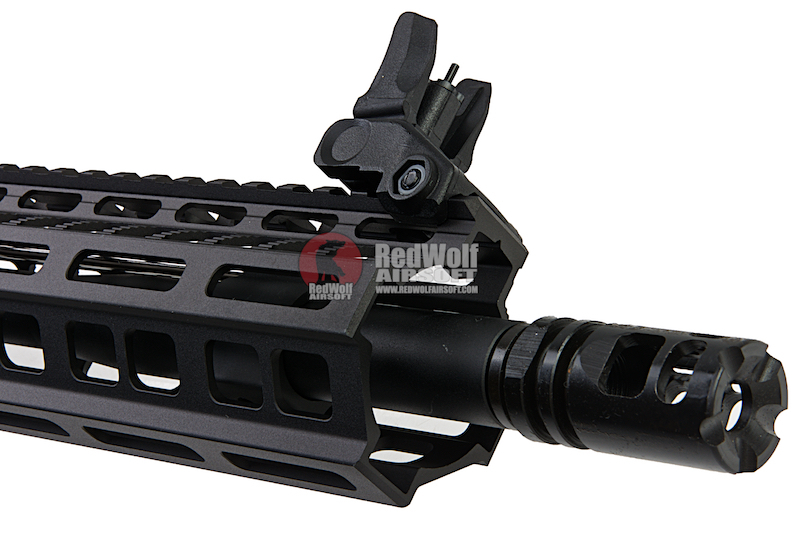 Magazine Compatibility - Standard M4 Style Magazines. 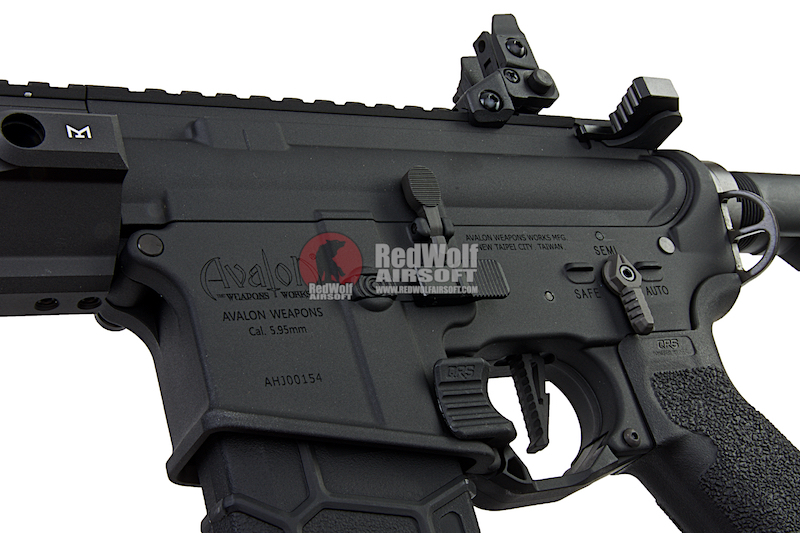 The VFC Avalon Saber carbine is the latest AEG from the VFC Avalon line. Boasting all the same features that users around the world have come to love, this particular Saber is no different. 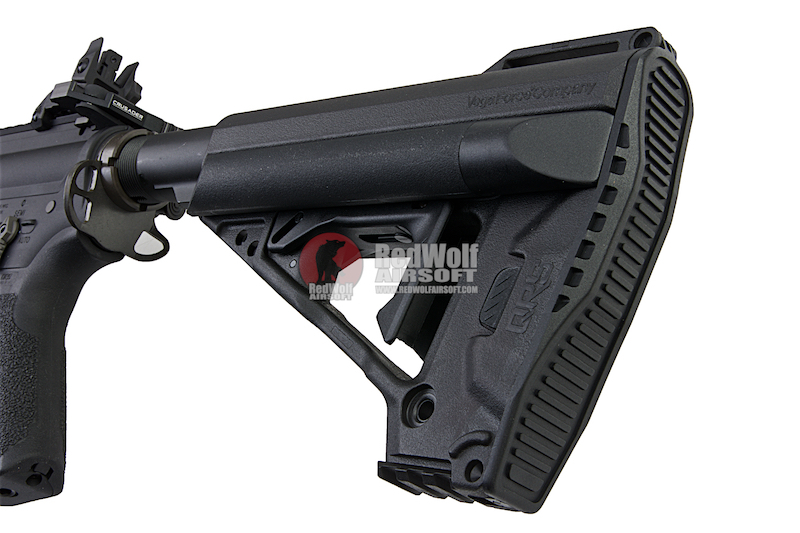 Features such as some mentioned above are coupled with other added aesthetic enhancements such as the lightening trigger and their QRS stock . 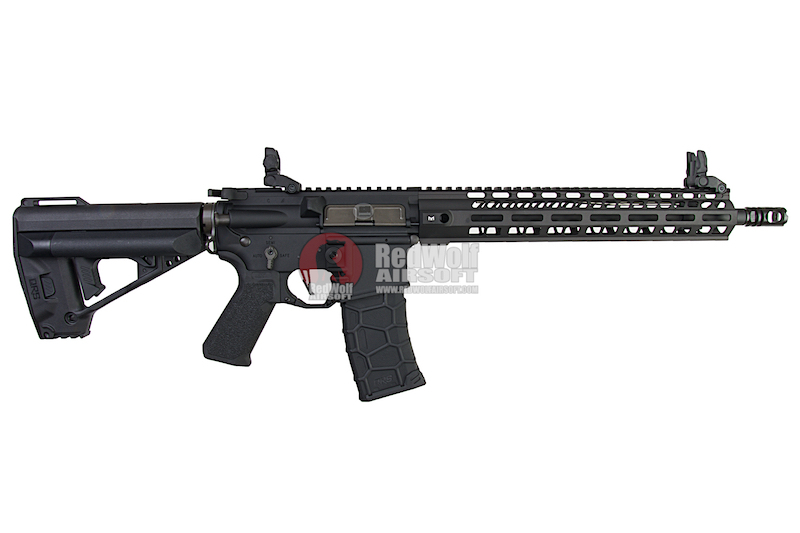 Externals aside, the gun features VFC's tried and true, battle proven internals as well as its ECS fire control unit, giving you high end performance. 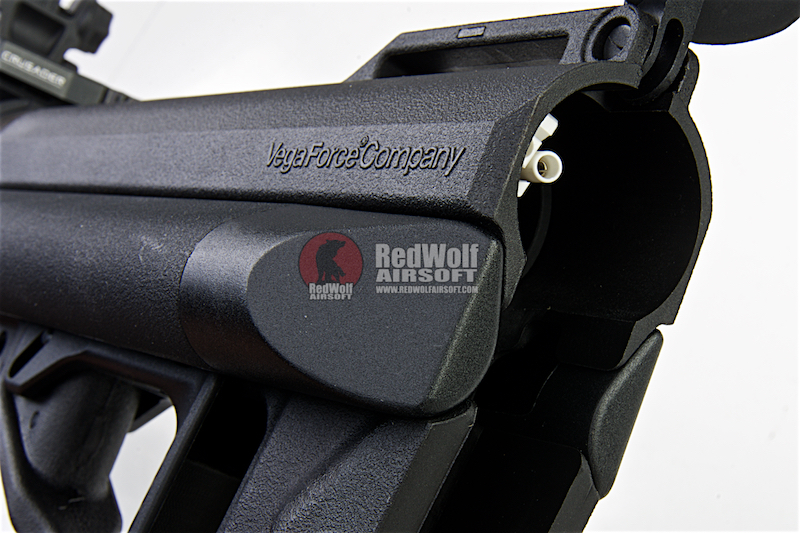 Vega Force Company was founded in 2004, and is know worldwide for its highly realistic Airsoft replicas with custom grade performance. Drawing on its OEM experiences for over a half decade, VFC has a professional team, which specialize and execute on the many different project with tight quality control. This is especially true with the AEG range, they have combined with high end licenses and engineering know-how to deliver an unrivaled product . 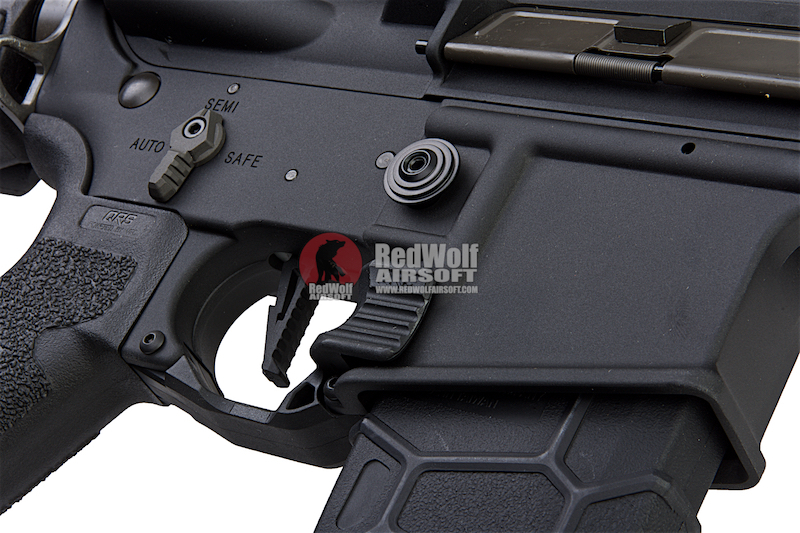 Recently, VFC has devoted itself into developing blow back gas operating systems with the same idea, and attempting to make it highly realistic, and simulated firearms operation. 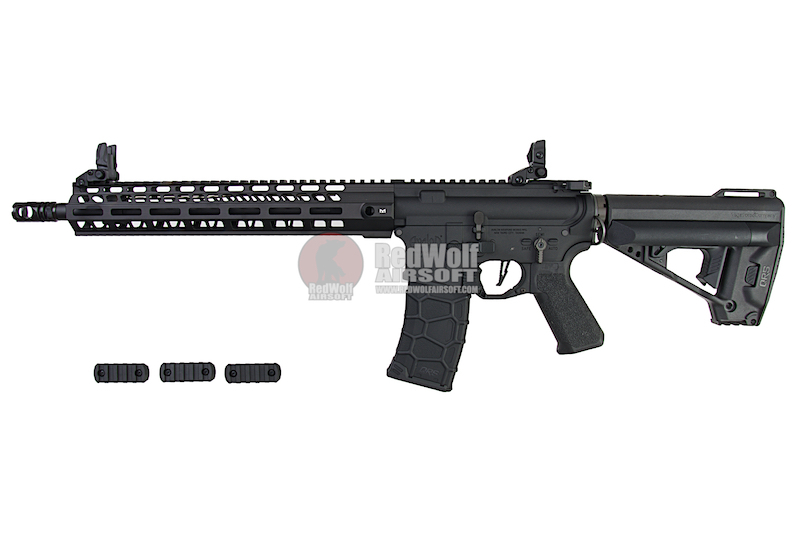 x1 VFC Avalon Saber Carbine AEG - Black.